According to the Ministry of textiles (Government of India) total textile export during 2011-12 was US$ 33161.74 and the total value of textile machinery produced during the same period was Rs. 5280 crore. A significant portion of the textile industry in India operates under the unorganized sector or composition scheme, thus creating a gap in flow of input tax credit. Input tax credit is not allowed if the registered taxpayers procure the inputs from composition scheme taxpayers or the unorganized sector. GST would enable a smoother input credit system, which would shift the balance towards the organized sector. GST is also likely to subsume the various fringe taxes like Octroi, entry tax, luxury tax etc. which would help reduce costs for manufacturers in the textile industry. Currently, the import cost of procuring the latest technology for manufacturing textile goods is expensive as the excise duty paid is not allowed as input tax credit. Whereas under GST, there will be input tax credit available for the tax paid on capital goods. GST Rates & HSN Codes For Cotton Products like- Dhoti, Saree, Zari Border Saree, Zari Border Dhoti, Shirting, Casement, Viol, Sheeting, Suti, Cambric, Lawn, Latha, Lungi & furnishing fabrics. 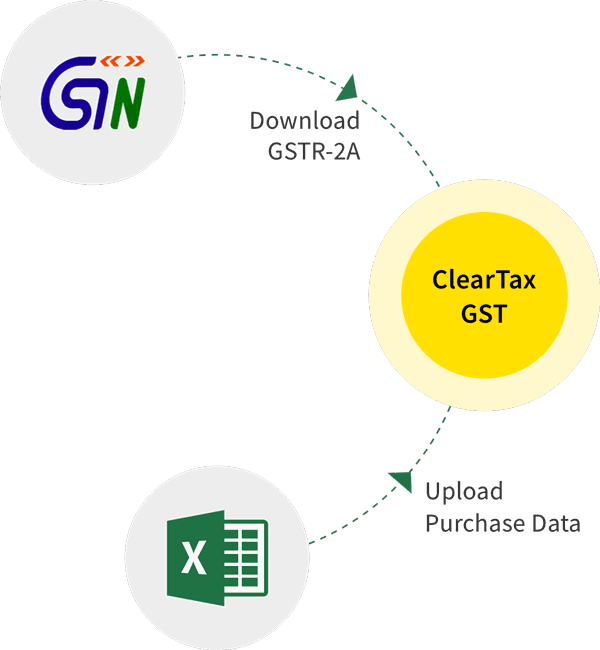 GST Rates & HSN Codes For Synthetic Filament Yarn Products like- Parachute Fabrics, Tent Fabrics, Nylon Furnishing, Umbrella cloth, Polyester Shooting, Polyester Shirting, Other polyester cloth, Nylon Brasso, Nylon jacket, Nylon saree, Terylene saree, Dacron saree, Rayon Crepe, Rayon jackets, Rayon saree, Rayon shirting & Rayon brocade. GST would streamline the process of claiming input tax credit thus allowing the textile industry to be more competitive in the export market. The same opinion is shared by the secretary of ITF (Indian Texpreneurs Federation) Prabhu Dhamodharan. Currently, manufacturers/traders are not inclined towards exports due to the extensive procedure costs and delays made in the processing of duty drawback. Under GST, the system of duty drawback will lose its significance. Input tax credit will be provided as a refund under GST instead of current duty drawback schemes. This would be a significant boost for promoting the export of textile products. Export promotion capital goods scheme is available for all the cotton-based textile exporters. Under this scheme, exporters can claim the exemption for duty paid if they export six times the value of duty within a period of next six years. It is expected that this scheme would lose its significance under GST.